These Linux Mint shortcuts will make you a better Mint user, because you'll find that using keyboard shortcuts for snapping windows, copying texts etc. are much faster than using mouse. After the list is shown, you can use arrow keys to navigate through open windows and press Enter to choose a window. 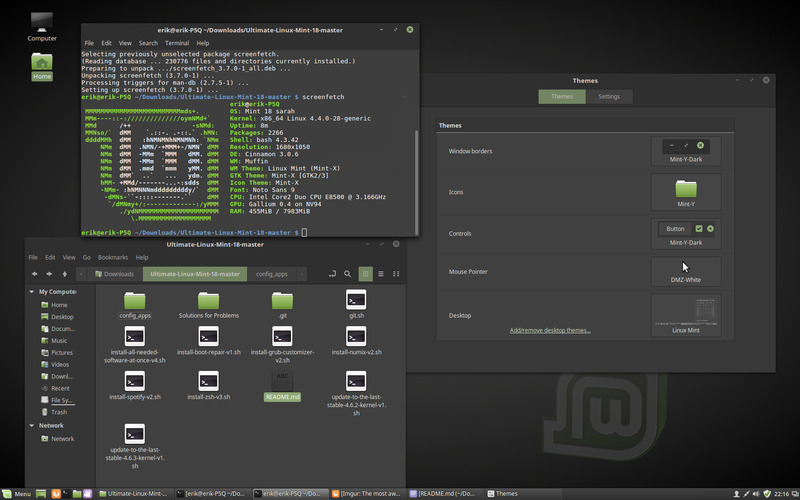 Linux Mint is a Linux distribution based on Ubuntu and Debian. It aims to be "a modern, elegant and comfortable operating system which is both powerful and easy to use". It was first released on August 2006. Show desktop. Press again to return to the previous window. What is your favorite Linux Mint hotkey? Do you have any useful tips for program? Let other users know below.